Once a gold mining region, Bendigo is framed by ancient, dry hills and fanned by westerly winds. 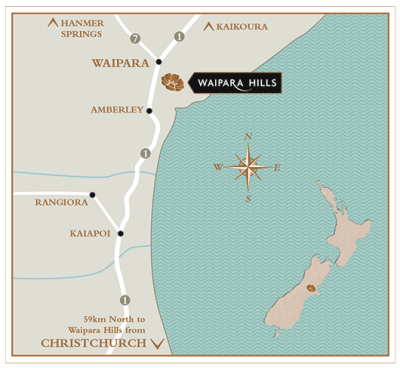 The soils have been formed from glaciers grinding up the Schist rocks to smaller gravels and finer particles. These soils are rich in minerals, free draining and low in vigour so careful use of irrigations is required to maintain vine health. 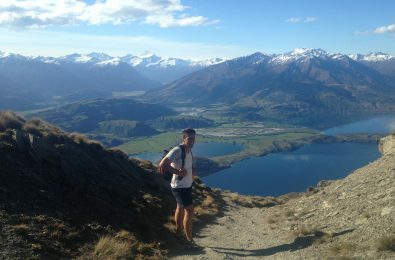 The climate is the most contential in New Zealand with cold winters (making great skiing in nearby Wanaka) and hot dry summers. Rainfall is low with average of 450ml's per annum and in peak summer temperatures can exceed 35 degrees Celsius, however the much cooler nights maintain acidity and vitality in the Pinot Noir we produce here. Growing up on a farm Tom spent his holidays helping with the sheep, cattle, crops and in the family vineyards in Central Victoria, Australia. Tom went on to study Winemaking at La Trobe University and continues to further his viticulture science knowledge by distance from Charles Sturt University, Victoria. After studying wine, he spent time in Europe travelling and enjoyed working a vintage at a small boutique winery in Burgundy sorting fruit. On his return to Australia, Tom gained some well rounded experience in vineyard pest management and irrigation control, then as a Cellar Hand, before making the call to focus on Viticulture. He started as an Assistant Viticulture Manager at Giant Steps where he was quickly promoted to Vineyard Manager. 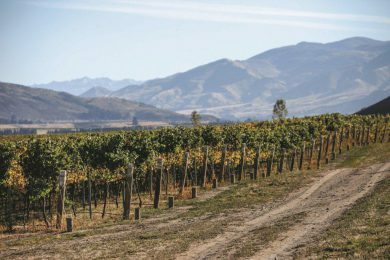 Tom’s recent move to Central Otago is fuelled by his obsession with world class Pinot Noir and he believes Central Otago has the perfect growing conditions for the variety. Tom’s favourite time of year is vintage. “It is the most rewarding time of year, where you see all your hard work and efforts that were put in over the season, pay off,” Tom says.